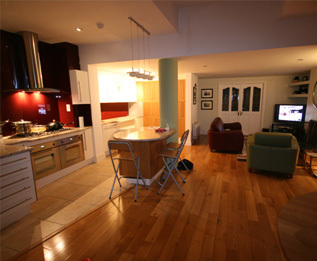 Here at Tribe Architects Galway we specialise in bespoke domestic refurbishment for the residential market. We pride ourselves in being able to offer design solutions that takes advantage of natural light, heat and ventilation to create a more sustainable life for you. We will perform a full appraisal on the existing house design and layout. Through meetings and discussions we will formulate a brief that reflects your needs. Once the brief has been agreed we will proceed with the process of redesigning the internal layout of your existing house. At all times the needs of you, the client, are foremost in our design. We ensure that you are included in the process and have as much (or little) input as you desire. We will provide information and advice on layout, materials, finishes and technologies to enable you to make the best decisions on how to alter your home. How far we take the design is up to you. We offer packages from sketch design all the way through to completion all of which we would be happy to tailor to your needs.